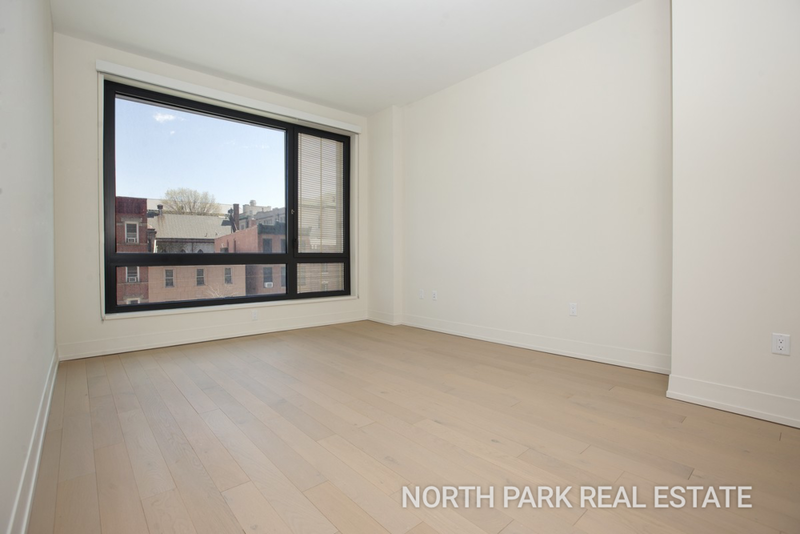 Presenting a brand-new, never lived in condo unit with 1 bedroom, 1 and a half baths in full-service building 550 Vanderbilt located in tree-lined Prospect Heights, Brooklyn. 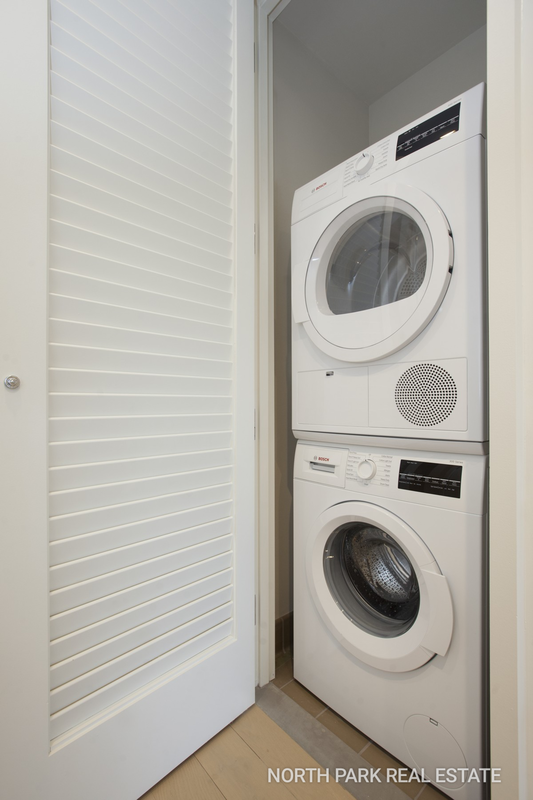 A large 1 bedroom at 841 square feet, you will have plenty of closet storage and brand new appliances. 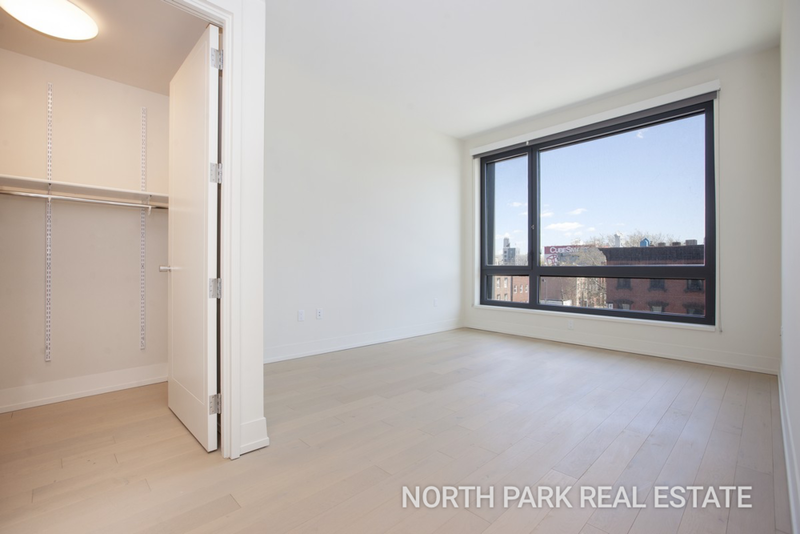 Ceilings are 10 feet high and the windows are double pane, ensuring quiet enjoyment of your open Eastern views. Features of this apartment include a walk-in closet in the bedroom, double vanity sinks in the master bathroom, and a half bathroom away from the living area for your guests. Brand new appliances include Bosch washer / dryer units and Miele refrigerator / freezer, dishwasher, gas cooktop, hood, and oven. Additional features include built-in garbage disposal in the kitchen sink, Grohe, Kohler, and Toto fixtures in the kitchen and bathrooms, and GE microwave. Built-in roller shades (including black out shades in the master bedroom) are already installed. The apartment is configured to accept either Verizon FIOS or Optimum internet and cable. Designed inside and out by celebrated architect COOKFOX, 550 Vanderbilt brings 278 exceptional condominium residences to the heart of Brooklyn. The holistic design of the building takes cues from the neighboring brownstones of Prospect Heights, while expansive windows maximize views and ensure light-filled living. From studios to four bedrooms, the carefully planned layouts are distinguished by luxurious finishes and modern details. Gracefully adjoining Pacific Park’s 8-acres of green space, 550 Vanderbilt will enjoy the unprecedented wealth of services, amenities, and conveniences of Brooklyn’s newest neighborhood. Amenities include: a library, lounge with fireplace, dining room with catering kitchen, outdoor entertaining space, children’s playroom, landscaped roof deck with dining alcove, outdoor kitchen, communal garden and gas grill, and fitness center with private studios.